Relevant for Years 7 to 13 (Key Stages 3, 4 and 5) this resource includes lesson plans, group activity prompts, information about National Curriculum Links, awareness-raising posters and a DVD containing no less than 13 short films. The full Product Description is below. 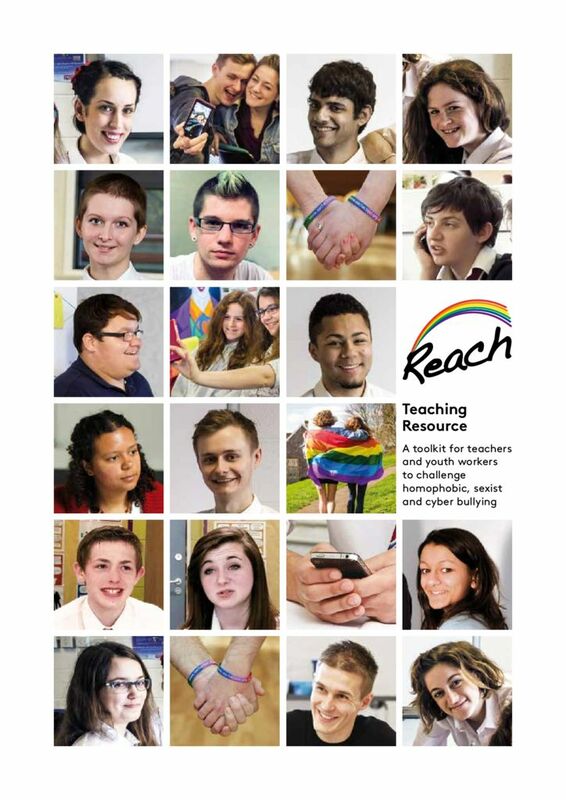 Reach is the dynamic project of EACH working with young people aged 13-21 to create resources for both schools and youth settings to challenge homophobic, sexist and cyberbullying. Between 2010 and 2014 EACH worked with over 3,500 young people across the West of England to co-create the Reach Teaching Resource. Until now their voices have rarely been heard however our work demonstrates that many young people are engaged and empathise with the issues. Read the Teacher’s Notes or download them here.